Type C Female Adaptor with lanyard. 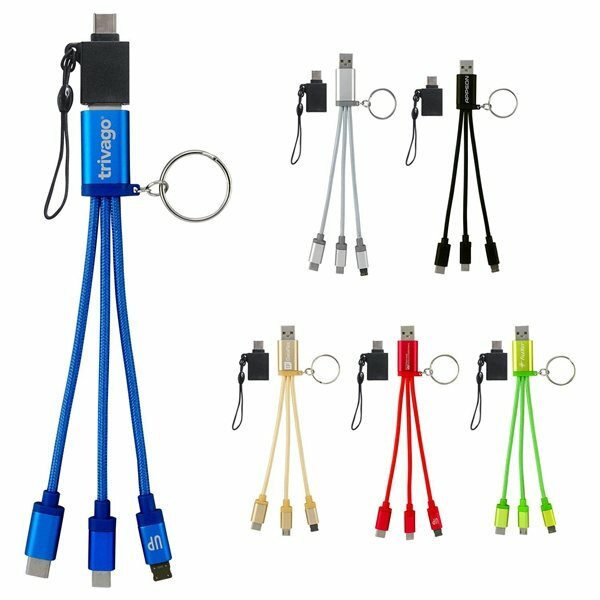 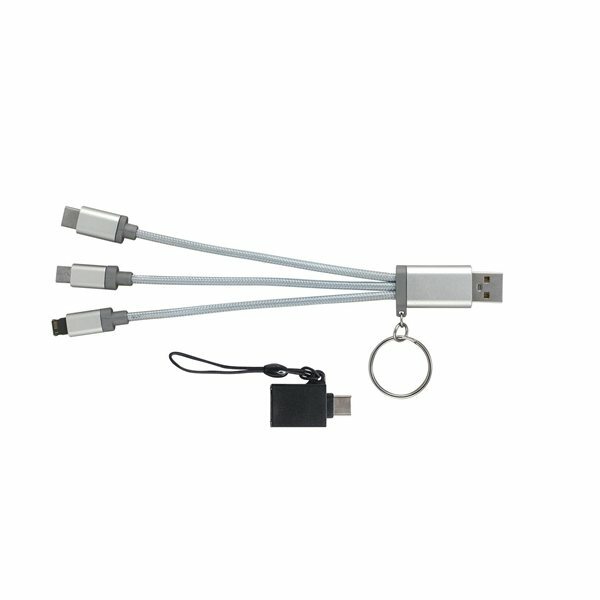 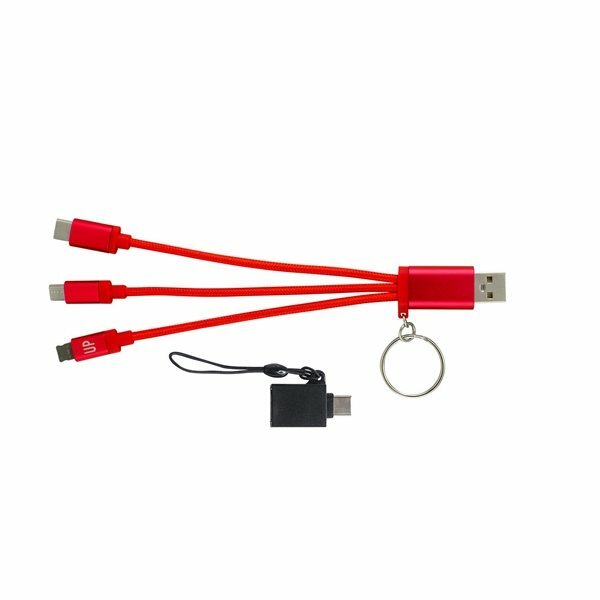 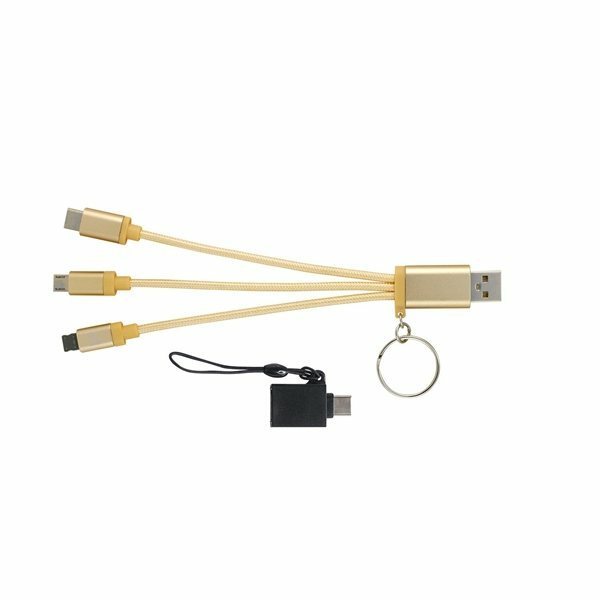 Metallic 3-in 1 Keychain Cable with Type C USB. 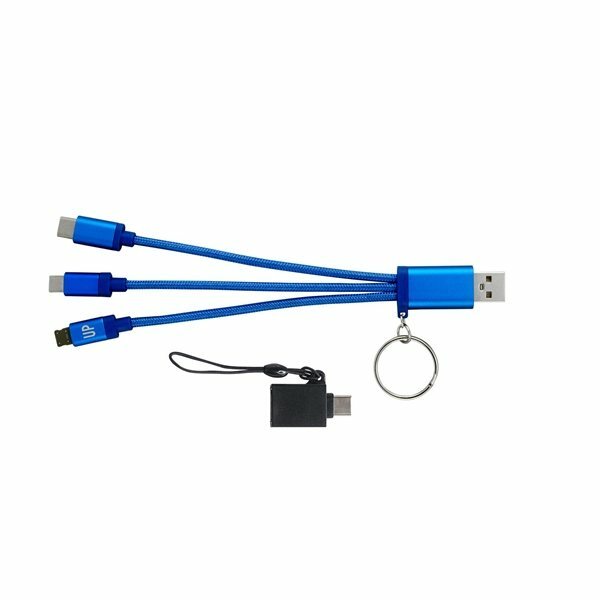 Converts USB for power source to Type C USB.